HOBART, Ind. (WLS) -- Two firefighters were injured and several families are displaced by an apartment fire in Hobart, Ind. Sunday morning, the Hobart Fire Department said. 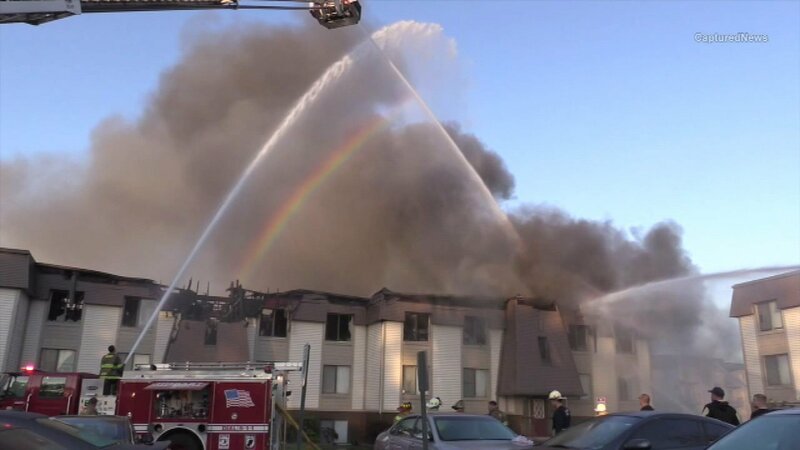 Flames were visible coming through the roof at the Lake in the Woods apartment complex in the 300-block of Ruita Drive. The fire started around 3:15 a.m. and two firefighters were hurt when a portion of a ceiling collapsed, fire officials said. They are both expected to be ok. Residents from 29 units have been displaced. The American Red Cross is providing assistance to those affected by the fire.